He'll take you to the candy shop. This minion is used in Aggro Decks. Basically Ironfur Grizzly on steroids (+1hp) or just 1 mana cheaper version of Sen'jin Shieldmasta with -1hp downside. 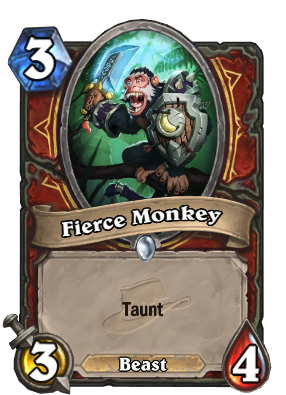 Second Beastie Boys reference in Hearthstone? Or are there more? edit: third -Sabotage and Saboteur. Why this has so many downvotes? I don't like taunt warrior, but they can make it happen of course. Blizzard is after al designing the cards. Lifecoach is using two of this on his Control Warrior deck, it's actually pretty good. This card is extremely solid. Even better than senjin.